ABOUT SMART MAGENTO 2 CUSTOM PRODUCT TABS EXTENSION. Deliver an excellent browsing experience to your customers with dynamic, custom blocks (new tabs on the product page). Our Smart extension is based on product attribute sets, which gives you total targeting control over the content. This Magento 2 product custom tabs extension gives you full control over your product page tabs and their dynamic content. You can configure product tabs to display custom content based on product attribute value using specific static blocks. No need to touch any code! Default Magento doesn't give you proper control over your product tabs and corresponding content, making product page content customization extremely limited. Smart Product Tabs allows you to show new tabs, based on the value of dropdown attributes. You can create Smart Tabs directly from Magento admin. The tabs containing the specific block will display on the front end as a new tab when visibility conditions are met. This will help to dynamically show specific product information only for certain products. This can be based on material, size-chart, country of manufacture, man/woman, price, promotion, product features, and more. Applicability of the Magento 2 product tabs is wide. 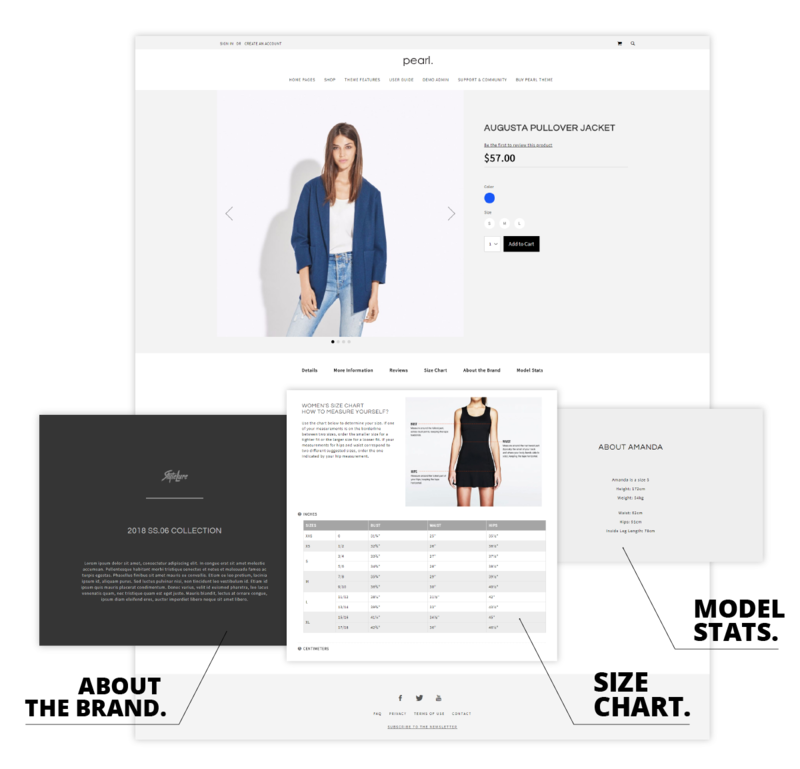 Custom tabs can be adapted to any business model in order to increase store usability. FEATURES OF THE SMART PRODUCT TABS MODULE. 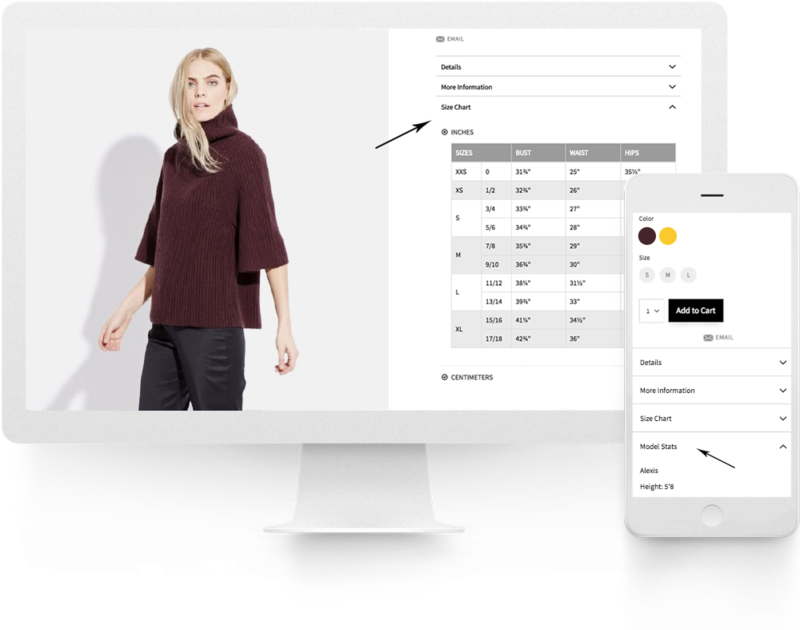 Display relevant content - optimize customer experience with content based on product type and attribute values. Increase conversions - use rich relevant descriptions to win your customers over. Reduce return rate - help buyers find the best product for them using specific relevant information. Reduce bounce rate - describe the product better on the product detail page to minimize bounce. Rich product description - use smart static blocks to create rich descriptions for your products. Save page space - use the smart tabs for a clean aesthetic. Increase store usability - help users engage with your store. 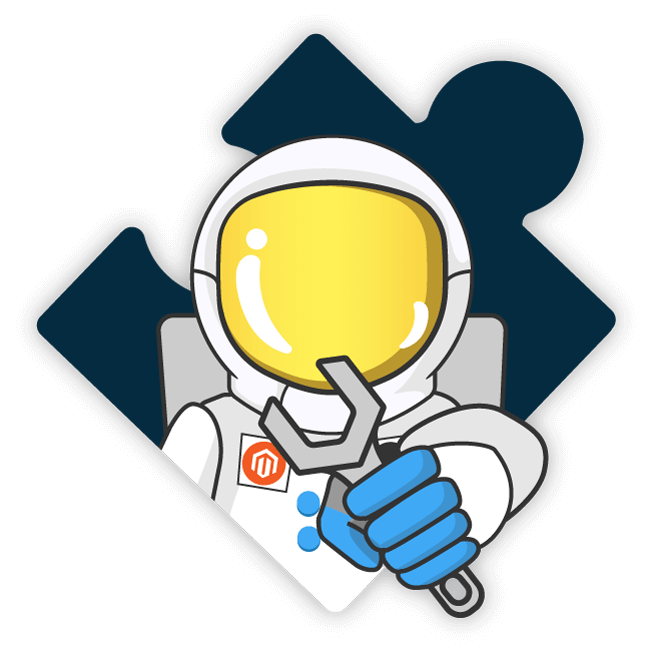 Before installing Smart Product Tabs Extension on a Magento2 store please check the extension compatibility. This extension is currently compatible with the following Magento versions 2.0.X. - 2.3.1. It is recommended to install the extension first on a testing server before you install it on a live (production) server. Step 1. Remove extension code under app/code/WeltPixel/SmartProductTabs before adding the new extension files. The extension may be refactored and old unused files may cause random issues so it's best to only keep the latest version of the files. Smart Product Tabs works only with "Dropdown" product attributes. You can use one of your already created attributes (dropdown), or you can create a new dropdown attribute in Admin > Stores > Attributes > Products.
! Important: Please note that configuration in next steps depend on the attribute code which is CASE SENSITIVE. You will need the attribute code to configure the smart block name. Using the wrong attribute code (typo, capital letter instead of small leter, etc) will result in tabs not showing in your product page. If you created a new dropdown attribute, you'll have to assign it to the product attribute set used by the product before this attribute will be visible in product details. Later, at step 6 you'll may need to assign the Attribute Set to the product where you want to use Smart Tabs if not assigned already. The new created Attribute can be found in Unassigned Attributes. To assign the attribute just drag and drop it in Attribute Set Groups.
! The attribute will be available only for products using this attribute set. If necessary you can add the attribute to multiple attribute sets. Go to Admin > WeltPixel > Smart Products tab menu, activate the extension and set your smart tabs. You can insert up to 3 new tabs to be displayed in the product page based on dropdown attribute configuration. From this settings you can define the smart tab name (visible in product page) and the attribute that controls delivery of relevant content for each particular smart tab. From this settings you can define the smart tab name (visible in product page) and the attribute that controls delivery of relevant content for each particular smart tab. - Keep smartproducttabs_ prefix unchanged. - Replace attributecode with your attribute code. - Replace option with option of the attribute. - If an option has words separated by spaces, replace the spaces with - (minus) sign. #1 Using wrong prefix smartproducttab_ instead of smartproducttabs_ will lead to tab not showing in product page. Please check if you are using the correct prefix. #2 Attribute code and option are CASE SENSITIVE. Double check for typo, capital letter instead of small leter, etc. #3 Make sure you selected an attribute option for the product you are checking smart tab functionality. #4 Do not insert underscore between the prefix, the attribute and the attribute option. Go to Admin > Catalog > Products > Edit Product and set the attribute option for each product. The corresponding block created at Step 3 will show up on product page. If no attribute option is selected, smart block will not show for that specific product. Once an attribute option is selected, if there is a block created corresponding with selected attribute code and option (as described in Step 3) -> smart block will show up on product page. Go to your store frontend and check the results. Store-view optimisation, possibility to configure Smart Product tabs attributes on store view level. You're reviewing:SMART MAGENTO 2 CUSTOM PRODUCT PAGE TABS.